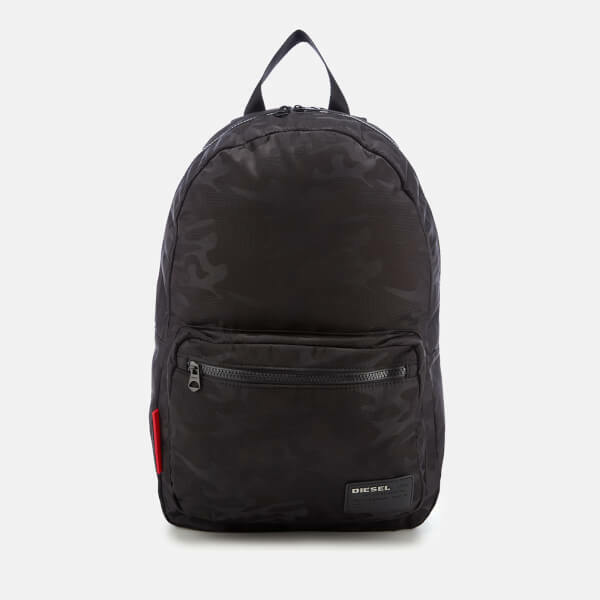 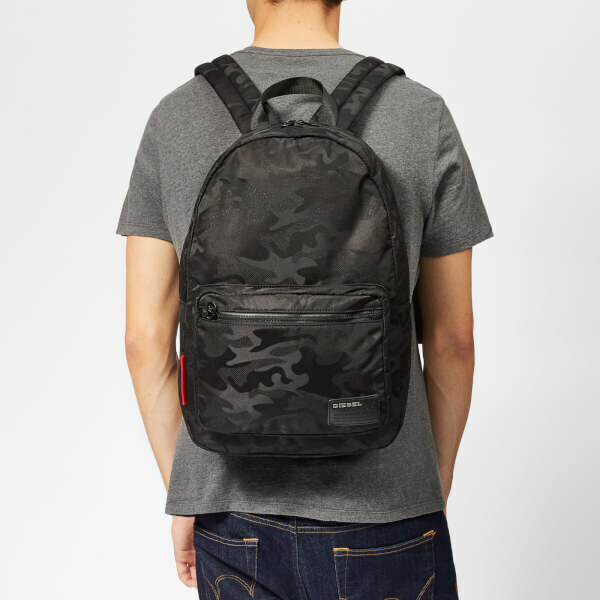 Black camouflage patterned backpack from Italian fashion label, Diesel. 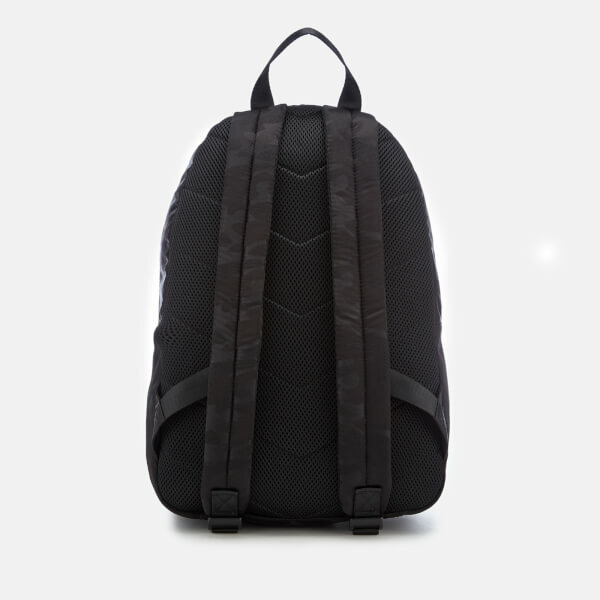 Crafted from jacquard patterned fabric, the ‘Discover’ backpack features matte black hardware and fluro detailing. 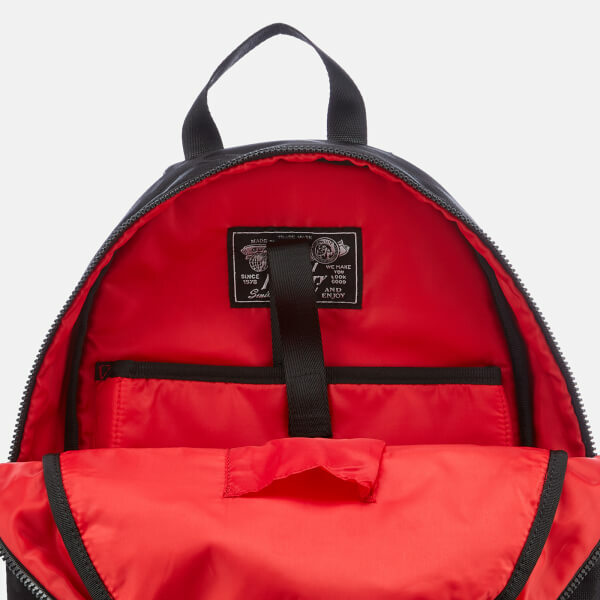 Fastened with a dual zip closure, the main compartment is lined with contrast red fabric and has a padded laptop pocket, slip pockets and a brand patch. 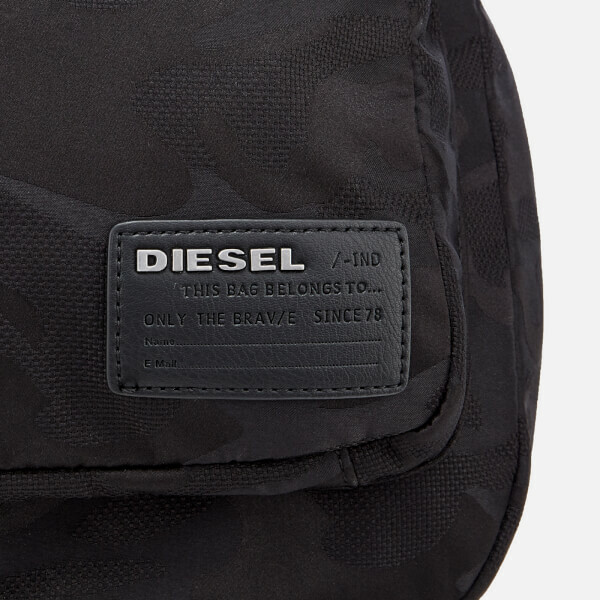 Complete with a front zip pocket, padded shoulder straps and a brand patch to the front.